Let’s be real, you probably don’t clean the interior of your car as often as you think or even as often as you wish you could. Yet you probably have designated days to get your laundry done, chore lists on cleaning your bathroom and bedrooms? You might even have a habit of unloading and reloading your dishwasher to keep your kitchen clean daily. 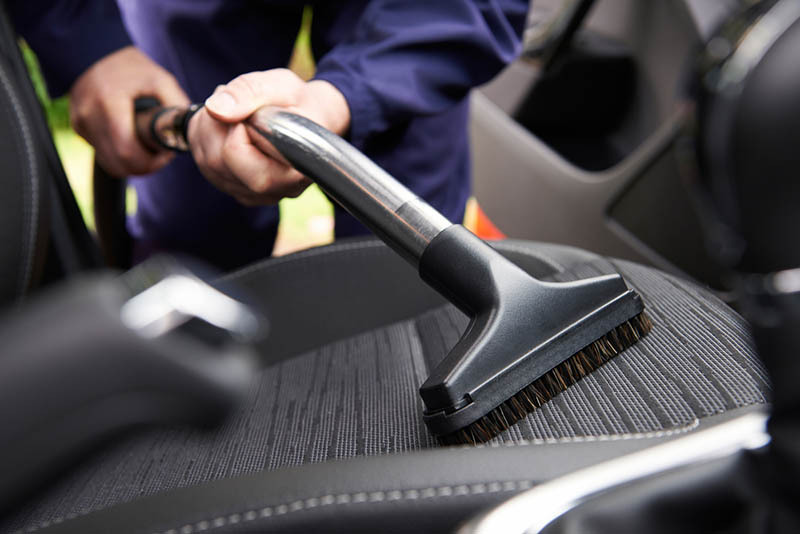 So, think of how often you vacuuming or wipe down the interior of your car? You even know those people who use the passenger floor as a spot to throw empty food containers and drink bottles, right? You may not really think about the amount of time you spend in your car on a daily basis. So to give you some perspective. Let’s say your average commute is 45 minutes to and from work. We can also assume you spend potentially one to four hours every weekend driving around for errands. It’s even possible that you drive an hour every evening to go to the gym or grab food. With those numbers in mind, you can safely assume you spend about 15-20 hours commuting around in your vehicle in a week. That’s 60-80 hours a month and 720-960 hours every year! So, imagine the crumbs, dust, dirt and general mess that piles up when you spend a few work days worth of time in your vehicle every year? When looking into getting your car cleaned or finding the time to do it yourself you don’t want to go about it the wrong way. Before attacking the dust and dirt-laden places where your feet rest start by cleaning the side panels and dashboard area. Think about it this way, you wouldn’t clean your kitchen floor and then the crumb-covered counters. That would potentially mean sweeping crumbs onto a clean floor. You’ll also want to check your car’s door jam where a lot of dirt enters as you get into the vehicle. 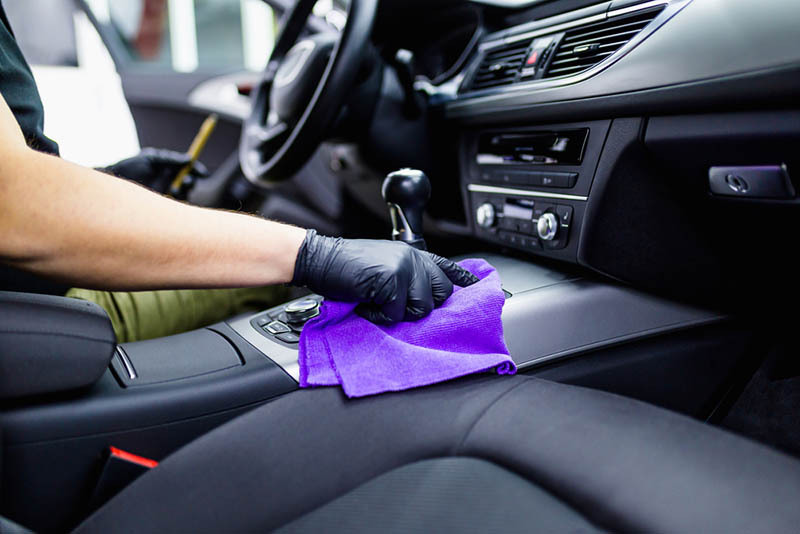 From there wipe down the vinyl or leather surfaces with a microfiber rag or whichever soft, no abrasive rags your prefer. You’ll want to wash the inside of your windows and mirrors before scrubbing the seats. Cleaning your mirrors and windows means having much better visibility especially if you’re a dog owner. While those nose prints are adorable at first they end up blocking a clear view while driving. Once those items are done and dusted (cleaning pun!) you can focus on vacuuming your floors. With the surfaces clean you can focus on getting into the nooks and crannies around and under the seats. If your car allows it, take the seats out and vacuum entirely beneath them. If this list of cleaning activities sounds like work (and really it is) you can download the MobileWash car wash app and have a dedicated crew member come by when it works best for you. Spending 20 hours a week in your car doesn’t sound ideal and spending another 5 or 6 of your free time cleaning it yourself could be better spent hanging out with your friends and family.